Electric Pendant: high voltage fashion! Electric glow-wire staff. 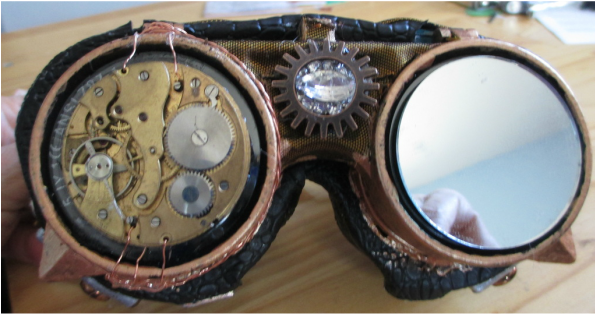 The first steampunk project I ever tried. Yeah, I know, the battery case for the glow-wire needs to be more "1905"-looking. A work in progress! A pocket watch can be converted into a tiny radio-transmission device...eh? 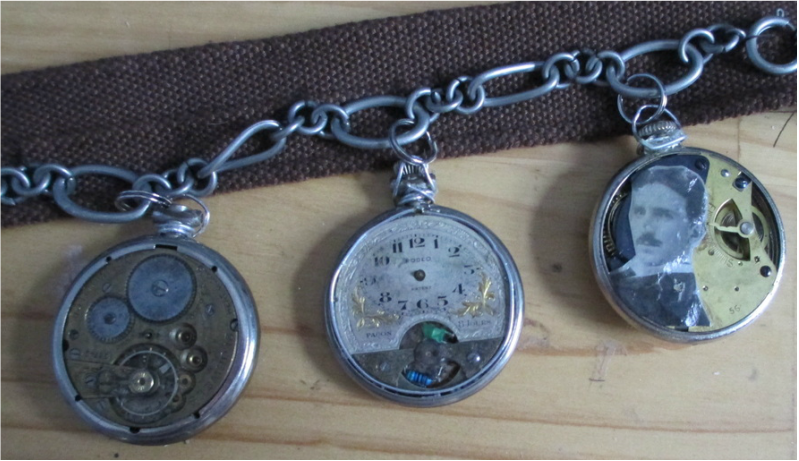 These pocket watches might do more than just "tell time".